I think this pancake love is going to be around for a while. I'm OK with it. So is that rooster. I love that rooster. 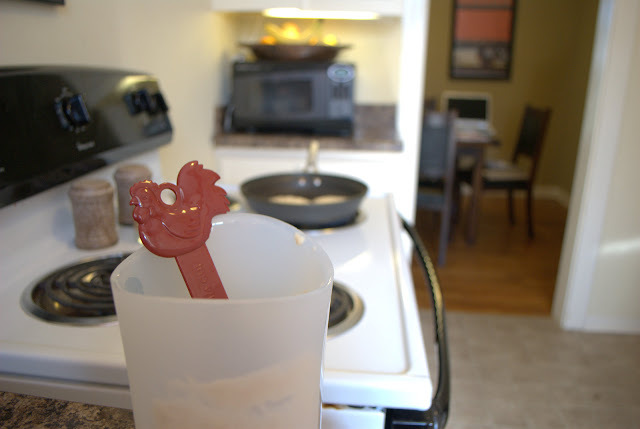 And i love those flexible measuring cups. And I really really loved these pancakes. The recipe for them is called "Good Old Fashion Pancakes." With a name like that and thousands of positive reviews on Allrecipes, how could one not love them? And here's what is awesome-town about pancakes. You probably have all of the ingredients already up in your cabinet. this means that you can whip up "Good Old Fashion Pancakes" anytime your heart desires. I almost had all the ingredients up in my cabinet. I ran out of all purpose flour. So I used wheat flour. I was good with this, Brandon was good with this. Pancakes made with wheat flour absolutely have a different, wheat-y taste to them so you can go ahead and use all purpose if you want. Matters not to me what kind of flour you use. I'll still like you either way. Combine the dry ingredients. Maybe use a whisk to make sure everything is good and mixed up. Add the wet ingredients and combine well. Heat a skillet over medium heat, spray with cooking spray. Add 1/4 cup of batter to the skillet, cook pancakes until done. 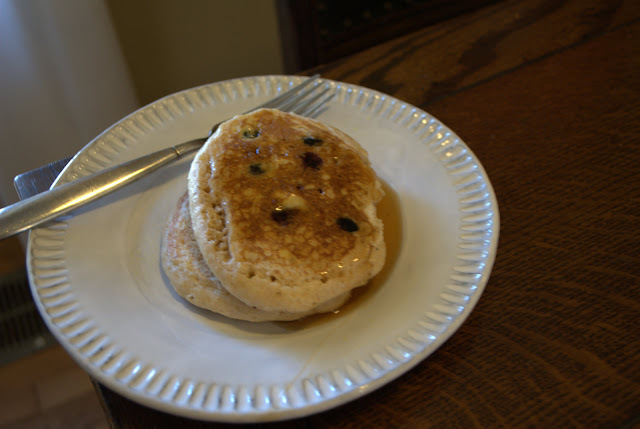 :: For blueberry pancakes, sprinkle blueberries on pancakes, uncooked side up, before you flip them. Does that make sense? You got this. 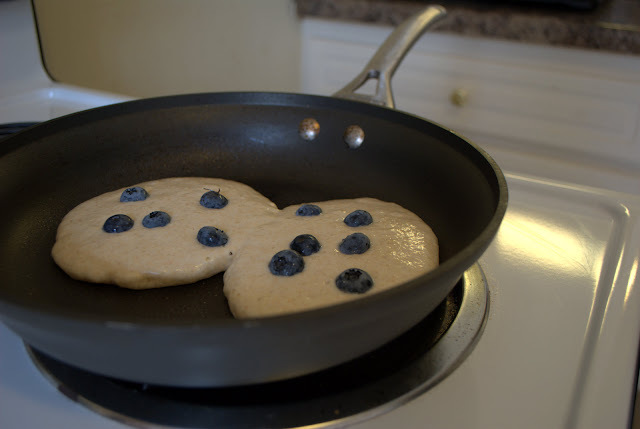 :: Using all purpose flour does not affect the points for these pancakes.